2016 they were 4th in the finals of the Lövsta Future Challenge at Friends Arena. 2017 Tanz made his Grand Prix debut. Average 73% in small tour internationally. 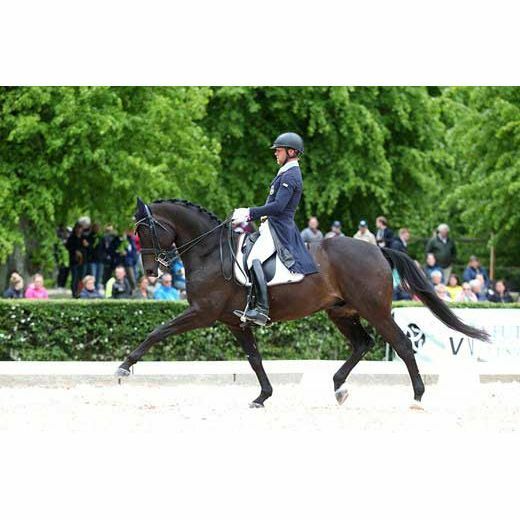 Tanz would make a super U25 European Team horse or a Young Rider Team horse. Tanz also has a kind nature and is easy to handle.